Today I want to introduce you to one of our co-workers. She just celebrated her birthday this week which has me thinking about how special she is and all that she's accomplished in her life. Winifred (Wini) is one of the gifts we all received from the earthquake. Before I explain that and how we met, let me back up a bit. Winifred is one of three daughters born to her mother; she is the oldest of the three girls. 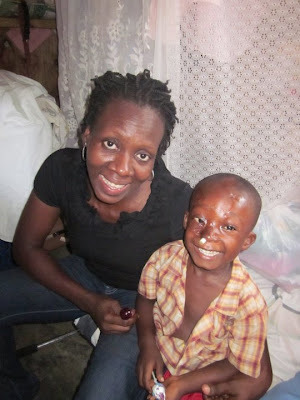 Wini grew up just outside of Port au Prince. She loves to learn, worked hard at school and did well. Wini has a love for people and an unusual tenderness toward others. When a woman in her neighborhood died giving birth, Wini adopted the baby. Daphne is a spunky little girl that clearly exhibits the characteristics of a well-loved child. Wini is a great single mom. After getting through primary and secondary school Wini started nursing school. She had to save the first two years tuition because they required that she pay for the first half all in one lump sum. When she excelled in nursing school they were able to see her great potential and offered to help with the second half of her tuition. Wini lives with her mother and daughter and carries a heavy responsibility as one of the main providers for her family. After the 2010 earthquake Wini wanted to put her nursing skills to work immediately. She lived very nearby but was not aware of Heartline or the programs being offered. One day, as she was passing by the road that two of the Heartline houses are located on, she noticed the large truck with patients being transported and she followed it down the street. She knocked on the gate and offered her help at the field hospital. In the immediate chaos following the earthquake she was told that it would be a volunteer position to start and that there wasn't time to interview or make job offers. John and Beth's daughter Morgan, an E.R. nurse herself, quickly noticed Wini's excellence and told her dad that he should do his best to offer Wini a permanent job. Dr. Jen has reiterated time and again what a high-quality nurse Wini is and how much she appreciates working with someone of her caliber. When I work with Wini I always learn from her and enjoy watching the way she genuinely loves and cares for people. 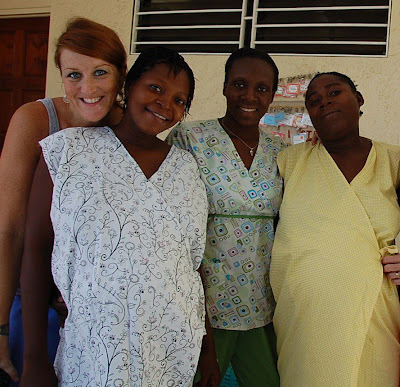 Wini plays a KEY role in Heartline's Maternity Program and Early Childhood Development Program - she acts as a teacher, a translator, a nurse, a midwife, and more. Wini is smart, capable, loving, and hard-working. We're all so grateful that we get to work with her. I feel like she extends us a ton of grace when we don't get cultural things and we mess up her language. 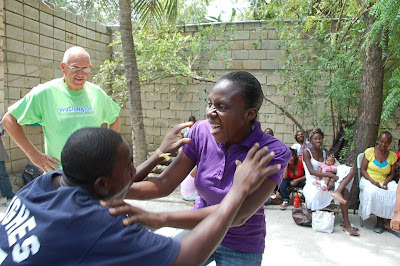 Stories are written about expats and how they are attempting to lift up Haiti - that's nice and all - but the fact is - Haitians are doing a ton of great work and it too often goes unnoticed. All that to say - today I want you all to notice that Wini is working hard and loving people and she is simply amazing at what she does.